You might know the benefits about eating organic foods--reduced pesticde exposure, avoiding GMOs, keeping out harmful additives. But what about personal care products like soaps, lotions, and hair care? 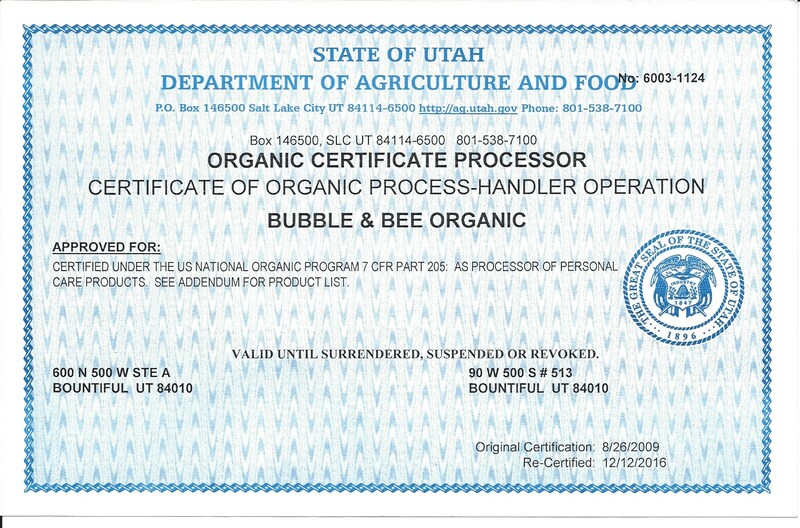 Why is organic certification important for these items? Other than the peace of mind knowing that there are no harmful synthetics and feeling good that it's better for your body and the environment, organic certification ensures that what's *on* the label matches what's *in* the product. For all our organic products, we keep a detailed paper trail of where each ingredient came from, and who certified it as organic. All of these ingredients have to be grown without synthetic fertilizers, pesticides, and processed without chemicals. For each batch we make, we keep a detailed record of each ingredient, the invoice date, the supplier, the invoice number, and the certifying agency. With organic products, there is an audit trail that can be traced from the batch number on the product, all the way back to the field in which each ingredient was grown. The highest level of certification that a bar soap can get is "made with organic oils" (70% or more organic). To make a soap, oils must be combined with an alkali. (There is no other way to make a soap). For liquid soaps this is potash (potassium hydroxide), for bar soaps this is lye (sodium hydroxide). A chemical reaction between the organic oils and the alkali occurs, and a new substance, soap, is created. This end product can never be more than 90% organic because the alkali used doesn't count towards the organic content. You may see a liquid castile soap with the USDA organic seal from time-to-time. Well, here's what they do...they'll take the original liquid soap, usually about 80% organic, and dilute it with organic tea or juice. The finished product ends up being 20% soap to get the non-organic content down below 5% (20% times 20% = 4%). So, know when you're buying a certified organic liquid soap, know that you're buying a product that's been considerably diluted, and basically 80% water. Why buy something that's already diluted, when you can buy full-strength soap and dilute it yourself? One of our 8 oz shower gels makes eight 8 oz bottles of their soap...that's like buying an 8 oz bottle of their soap for just $1.40! Some people have asked us about lye and potash and if they're harsh or dangerous. On their own, yes, these are very caustic materials. But, when used to make soap, the finished product is not dangerous, and, if made properly, not harsh. That's because the alkali has combined with the oils to create a new substance, soap, and there is no leftover lye or potash. Over the years, lye soap has earned a bad reputation. It brings to mind Grannie from the Beverly Hillbillies and her harsh "lye soap." But that was because in years past, we didn't have the technology we do today with saponification tables, digital scales, and a wide variety of wonderful oils. We now know exactly how much lye to add to which certain oils to make a bar that lathers and that's still gentle. Our soaps (both liquid and bars) go through the superfatting process, meaning that just a little extra oil is added so that we are sure there is no free alkali in the bar or liquid. An appropriate curing time is also key to a gentle soap. Additionally, we add extra vegetable glycerin to keep the soap super moisturizing. There is no lye that is dumped in to wastewater during the saponification process, and the environmental impact is very low as there are no fumes, dust, or pollution created during this process. True soaps, both liquid and solid, are THE most natural, healthy, and eco-friendly way to clean yourself and your family. 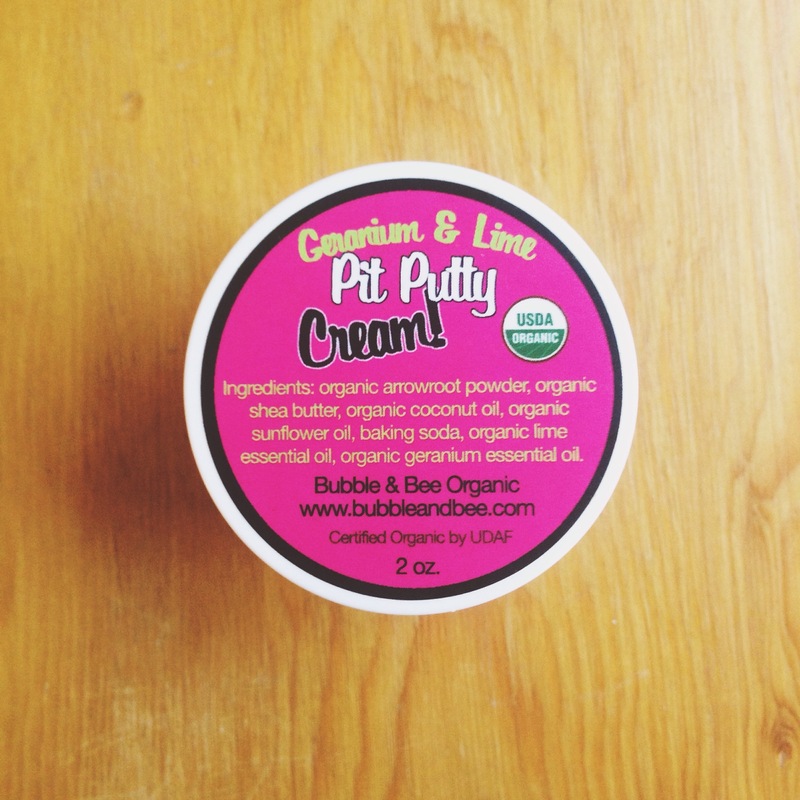 We wanted to make a salt scrub that was a do-it-all product. We wanted something moisturizing, cleansing, and exfoliating. Being based near the Great Salt Lake, we have a great local supply of quality salt, so we chose it as our exfoliator. Then, we needed something to moisturize, so we added organic oils and vegetable glycerin. Finally, we needed something to give the cleansing properties and lather. Our first choice, of course was castile soap...but there's a problem. When you add salt to a true soap, it turns the soap in to a scummy mush that's un-useable. So, we chose the next best thing: decyl glucoside. Decyl glucoside is a naturally-sourced detergent made from sugar and coconu, scores a 0 in the Cosmetics Database and has no known risks or hazards.